This book was defiantly worth the wait, not wanting to get caught up in the hype and wanting to read the series as a whole I've waited since 2012 to finally read this!! I loved everything about it, the pacing and how it all built to the climax with all the threads coming together at the right time. 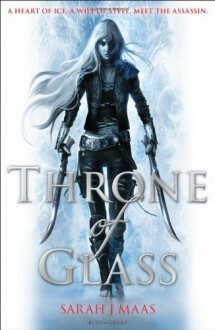 This book has laid the groundwork amazingly for the series to come, the main plot of Celaena fighting to become the kings champion to win her freedom and the more fantasy Fae element. After thinking on it a while I think I gave this book 4.5 stars because I wanted a slightly different Celaena. After reading the novellas I think I had expected her to spend more time in the mines, so I thought we'd have a more broken character who not only has to heal her mind but her body too. I wanted to see her shed her pampered princess attitude and grow differently. But all in all this book was amazing, and absolutely worth the wait!! 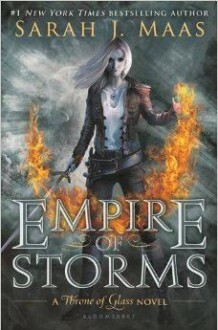 I do kind of regret not reading Maas sooner, but I love that I can just binge read her series now instead of waiting. Reading progress update: I've read 176 out of 432 pages. 1.) Make another pot of coffee- How am I suppose to do any of the other things without more coffee? Let me start by saying this book is not anything I would normally pick for myself. It has all of the characteristics of a books I avoid. Some of those things include over-promotion on sites like Amazon and Goodreads (which makes sense because they are the same) or books classified as romance. I'm not a huge romance reader. I'm just not. So then why did I read this book? It was gifted to me two years ago in a secret Santa book swap. One of my reading goals this year is to read more of my unread books on my physical bookshelves. I'm plotting a trip to my favorite used bookstore in the near future. Worst case scenario, I don't like the book and I can trade it for something else on my trip. This wasn't a bad book. I have definitely read worse and I have most definitely read better. However, I made the mistake of reading reviews at about the halfway mark. I try really hard not to read too many reviews about a book I am currently reading. Occasionally when I am on the fence about if I want to finish a book, I will see if any friends have read the book and read their reviews. In this case a lot of friends have read this particular book. 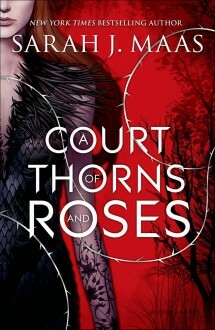 Most of them mentioned how this novel was a re-telling of the Beauty and the Beast story. After digesting this nugget of information, the story telling became predictable. I was hoping for at least one plot twist but it never came. I was hoping that with this book being part of a larger series, the end would not be one of those happy endings wrapped with a big bow. This bow was big and it glittered. Maybe at this point you are asking yourself "How did you give a book three and a half stars when it doesn't sound like you really liked it?" That's an excellent question. Here's my answer- The writing wasn't terrible. Once I was through the first 100 pages, things took off. The plot moved along quick enough to keep my interest. The heroine wasn't overly whiny but at the same time she wasn't really anything special. Although I found myself confused about why she would find herself attracted to Tam in the first place. In my defense, I wonder that every time my children watch Beauty and the Beast. Don't get me wrong, gifting me a library would probably get you something but not a life long-head over heels-leave my family- kind of commitment. At the end of the novel, I found myself wondering why this book hasn't been created in to a cheesy movie franchise. It certainly has all of the necessary requirements along with the potential for Hollywood to get it all wrong. At the end of the day what does all of this mean? Not much. Will I pick up the next book in the series? Maybe when the day comes that my oldest daughter wants to pick up this series. It seems like it could be an entertaining mother/daughter buddy read. For now, I'm returning to my regularly scheduled mystery and historical fiction reading channel.